The interlocutor laughs politely, then remembers an apparently urgent appointment on the other side of the room. If you become a philosopher, then a snappy way to answer the “what do you do” question is going to be an important element of your intellectual utility belt. It will get you through the vast majority of human interaction in a way that doesn’t require a constantly-updated summary of the most recent Jobs for Philosophers. Just remember: on rare occasions, you’re going to meet that tenth person. I had one such occasion recently, when an (admittedly comely) interlocutor started a conversation about philosophy of physics. As the discussion evolved, I eventually had to fall back on another tool in my utility belt: purposeful controversy. That’s the question that really got me thinking, and the one that prompted this essay. I had to give a typically philosophical response: yes and no. To understand why that’s not simply a dodge, and why it’s worth revisiting an issue that’s already been covered extensively around these parts, let’s empty out the rest of my utility belt. It turns out that I don’t keep much in there: just some time travel stories and a copy of Jurassic Park (1). For my money, there’s no entertainment more enjoyable on a greater number of levels than a good time travel story. The genre offers a number of interesting points for discussion. Does the story hold together consistently? What happened to other people in the original timeline? Is the ending to Superman: The Movie a crime against functional human brains? More important for our purposes, though, is the fact that many philosophers consider time travel to be part-and-parcel of discussions of free will. This is not to say that all time travel is of philosophical value. After all, everyone travels forward through time, and all too often without any interesting results. Similarly, we’re not talking about the familiar DeLorean-assisted romps through spacetime. No: the philosophically valuable sort of time travel is somewhat more boring. Imagine simply rewinding the entirety of the universe back to an earlier point, then allowing it to play forward again. A time traveler in this sense would have no idea that she had traveled at all, because all of her thoughts and experiences would be exactly the same as they had been at the earlier point (2). Consider the recently-released movie “Safety Not Guaranteed,” wherein the main character (mild spoiler alert!) entertains the idea of going back in time to prevent the death of her mother, for which the character (played by Aubrey Plaza) feels responsible. In the rewinding sense of time travel, she would find herself at a point ten years earlier in her life, thinking the same thoughts and feeling the same desires that she had previously. Would it be possible for her to behave differently, such that she doesn’t initiate a sequence of events that leads to her mother’s death? Intuitively, I say no. But the truth is that my answer doesn’t matter, because it doesn’t say anything about fate. It turns out that time travel isn’t a particularly useful tool in discussing that issue. I guess that leaves me with Jurassic Park. This is just David Hume’s famed is/ought distinction, and if you don’t accept it by now, then I’m certainly not going to convince you. You’ll find it to be either axiomatically true or self-evidently false. Still: one is hard-pressed to find a balanced biochemical reaction that reads, “cloned T. rex ⇌ bad idea,” which is precisely what you should find if the distinction is denied (3). I would imagine that the young lady seemed so surprised that I might believe in fate because the concept seems so religious. Indeed, “fate” has historically been tied to the idea of predestination, as determined by some deity or another. If Aubrey Plaza’s (fictional) mother is fated to die on some day, then she is supposed to die on that day. When she does, Ms. Plaza can’t be blamed for it: Ms. Plaza didn’t determine that fate, and so she can’t be held responsible for bringing it about. Consider the language here. She’s supposed to die. She can’t be held responsible. These are moral considerations; we are very firmly on the “ought” side of the is/ought divide. This is very much in line with some of the earliest discussions of free will. Aristotle, for example, reserved his most extensive elaboration on the subject of free will for his Nicomachean Ethics, arguing that responsibility can only follow from deliberate choice. All of our moral reasoning depends on the assignment of praise and blame, and so we need an account of free will to justify reward and punishment. This is why time travel stories, despite their ubiquity in discussions of free will, are such a poor tool for addressing the issue with which most people are concerned. Through these stories, we consider what could have happened previously, not what will happen in the future. We’re not talking about moral responsibility; we’re talking about metaphysical possibility. It’s possible that she won’t die. We’re on the “is” side of the is/ought divide now, and so we’re no longer addressing questions raised in the moral context (4). “Yes and no” isn’t a wishy-washy non-answer to the question of whether or not I believe in fate because I can answer that question differently on the two sides of the is/ought divide. Metaphysically: yes, there is only one way the universe will unfold; Aubrey Plaza’s character will cause events that lead to her mother’s death no matter how many times she rewinds time. Morally: no, the way the universe unfolds isn’t the way things are supposed to be; it’s just the way things happen, in part because of our actions, and so Ms. Plaza’s character (indeed, any one of us) can still be responsible for what she does. What do you do with a degree in philosophy? Obviously, you’d like to be doing something worthwhile and productive. It just isn’t clear to me that debating free will as a metaphysical issue accomplishes that. Intuition tells me that it’s not possible for the past to have proceeded differently; intuition may tell you otherwise. How do we resolve that debate? Our ignorance of what is and isn’t possible is so profound that philosophers can’t even agree on a system of logic with which to judge the truth of possibility claims. Discussions of free will in the metaphysical context just aren’t going to go very far; however, if philosophers get around to the moral context at all, it’s only after they’ve had the metaphysical debate. My point is this: the philosopher’s traditional ordering of concerns—metaphysics first, ethics second—is just going to get us stalled before we ever address the issue people care about in the free will debate. Maybe, just this once, we should put ethics first. I’m Leonard. I don’t believe in free will, but you and I probably agree about moral responsibility anyway. I only raised free will in the first place to instigate a debate. Why? Because that’s what you do with a degree in philosophy. (1) Even I’m surprised by the number and variety of situations for which these tools are completely sufficient. Take that, MacGyver. (2) It’s precisely because of distinctions like these that discussions of time, whether philosophical or scientific, get so confusing so quickly. Personally, I’ve found physicist Sean Carroll to be helpful in this regard. 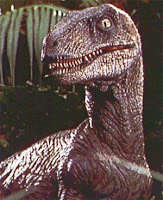 (3) Let’s just dispense with this debate right now: if you think that cloning a T. rex might conceivably be a good idea, then you just haven’t read Jurassic Park closely enough. Watching the movie isn’t nearly an acceptable substitute. (4) To be sure, the metaphysical issue is not unrelated to the moral one. Stephen Jay Gould referred to fields whose subject matter lay on different sides of the “is/ought” distinction as “nonoverlapping magisteria.” He noted that “the two magisteria bump right up against each other, interdigitating in wondrously (sp) complex ways along their joint border.” The debate over free will takes place right along these disputed “is/ought” borderlands. I recently (finally!) read Harris' The Moral Landscape, and while I don't think he eradicated the is/ought fissure, much less provided a way to spin the world backwards and prevented humanity from becoming entrapped there in the first place when its chariot runs out of gas, I do think his core argument modeled one way to step across it rather handily. Can science tell us what we ought to value? Yes and no. Science qua science can't derive oughts at all, but in principle there's no reason why science can't, through analysis of human nature, generate useful descriptions of what constitutes health (both for individuals and for communities), identify near-ubiquitous motivations, catalog behaviors undertaken in service to those motivations as well as their results, and from the correlation of these findings derive prescriptive oughts. Would they be oughts in an absolute sense? No, of course not. But why would they need to be? In what other context do we ever demand such a high standard of perfection before taking any action or offering any recommendations? Doing so is pretty much the equivalent of actively soliciting the services of charlatans. Science has, in fact, long been in the business of deriving prescriptive oughts in service to goals individuals and communities have chosen as worthwhile. Moreover, the goals themselves are frequently generated within a scientific community prior to being exported to the broader public. In other words, we already live in a world where science is employed proactively to tell us not only what we ought to do to achieve what we want, but even what we ought to want! Only after we choose from the pool of global possibilities a selection of what is attainable in pragmatic terms can we start engineering means to do so. What does any of this have to do with free will, you ask? Nothing. Nothing at all. Nothing has anything to do with free will. Upon further reflection, it seems to me it may be worth clarifying just what is meant by the term "ought" in the first place, and what are its implications. So long as our most comprehensible understanding of causality (and, perhaps more saliently, the limitations of we can know about it) invokes inherently probabilistic models, "oughts" may best be understood not as absolutes, but as inherently uncertain statements - that is, no matter how much we learn about the present state of the universe and the nature of sentience and decision-capability, "oughts" remain situation-dependent, recommended risks or gambles based on desired outcomes and statistical likelihoods. Caving in to the compulsion to fixate obsessively on the is/ought distinction for a moment (as one does 'round these parts) while holding this in mind, it becomes evident that an "ought" could, in principle, be derived from an "is" if that "is" included an accurate characterization of specific internal states of at least one sentient individual faced with a decision, such as their understanding of the immediate situation, their assessment of the possible results of each available option, their risk tolerance, and so forth. Even without knowing the relevant facts, we can say with great confidence that those facts nevertheless exist. Therefore, we need not cling dogmatically to the notion that "is" and "ought" are nonoverlapping magisteria. Perhaps we merely need to fully relinquish the ingrained notion of an "ought" as a fact (or possibly fiction) about the universe itself, as opposed to a fact about the sentient, decision-capable, outcome-oriented beings within it. I have thought about the question of what we should do for some time and it seems to me that since the function of life is to dissipate the energy of the sun in a more intricate manner than the rocks that it replaces and since complex ecosystems are hardier than homogeneous ones the best answer to what we should do is increase complexity and bring life to those places where it does not presently exist. If you disagree then obviously you were fated to do so from the moment the universe sprang into existence and I don't blame you although I do hold you responsible. Want to be rational? Three points here. Time clearly sets the frame for rationality because we cannot actually forsee the future and we frame hypotheses to be tested at a later Time to refine knowledge over time. Related to this is Determinism over Time, which can only be statistical within a framework of particle and field behavior, and hard to pin down biologically, and that does not enable an actual view of the future. Finally Free Will, only partly shackled by Determinism in physics, and purportedly challenged (in some way) by Libet. We direct our individual Will over time to refine knowledge to define the limits of Freedom to that Will impacted by Determinism. The brain may merely serve the Will of our gross anatomy in adaptive cycles, so you might ignore Libet's view, but we still have genetic bias (as individual examples in the application of a species characteristic for Free Will), disability, and general conditioning. The legal system might allow for all of that without depriving anyone of Free Will or accepting that such deprivation is possible, as it may be what makes us human. Morality? Ethics? The will be as they may be, as settled by the species over time by innate preferences that hopefully "center" upon "fundamentals". A species that has Free Will might have preferences that naturally ("freely") settle justly, and the idea should not be taken to mean "open slather". I have my reasons for saying this, but my blogs tend to get deleted if they go too long. I had a quick read of the link Gadfly, and it seems fairly obvious that Free Will, whatever it is, is in a Deterministic context for which we can try to allow by exercising Free Will to do so. We shape nature to our purposes. I don't think you are saying anything revolutionary, and you may be trying to create a strict division between Free Will and Determinism in other work that does not really exist. I'd have gone with the Mole in South Park: Bigger, Longer, and Uncut. We're condemned to freedom. "How 'bout going to my place, babe, and making some essence of our existence?" "...but you and I probably agree about moral responsibility anyway." I take another view, which is that if free will is an illusion, the thing we are referring to when we talk about it nevertheless is something - we just call it something it's not. The same would hold for moral responsibility. With or without a truly free will, our sensibilities (which are in no small part informed by our awareness of societal expectations) still lead us to believe that, in some sense, we "own" actions that we undertake free of external coercion. This is justifiable if consequences of our actions influence our future actions. If they don't, there's no basis for morality at all. Agreed about ownership of actions being compatible with no contra-causal free will, but it's the specific non-consequentialist, retributive implication of MR as ordinarily conceived that Waller takes issue with, and I agree with him on that. The evidence of our indivdual and species progress would stand against free will as an illusion. It may be the basis for an extraordinary range of human discovery and art, on the basis we are simply refining knowledge in the free exercise of our will. As an absolute, it would not exist, and yet in the pursuit of knowledge we can realize that fact and allow as much as possible for determinism and bias. We can work to ideals nevertheless, as fictions, and fall into ideologies too. Exhibiting those freedoms (in fact) with those contraints (determinism and bias), for which we can try to allow by exercise of free will, suggests its possibility as a species driver found in most if not all individuals (at a guess). "one is hard-pressed to find a balanced biochemical reaction that reads, “cloned T. rex ⇌ bad idea,” which is precisely what you should find if the distinction is denied"
That's a stretch. Denying the is/ought distinction merely requires there to be some combination of facts about the world which entails “cloned T. rex ⇌ bad idea”. I think that's very likely the case, if we follow Sam Harris's argument and define "bad idea" as "not conducive to human well-being". There is still an extra step in there that involves positing an "ought," no matter how trivial the ought may seem. (1) Cloning a T. rex is not conducive to human well-being. (2) Therefore, we should not clone a T. rex. There is a missing premise: "human well-being should be promoted." Without that premise, the argument fails as logic. Yes, that premise is relatively trivial (although I might ask: "Only *human* well-being?" as well as "What is well being, exactly?") but it still needs to be in there to make the argument logically well-formed. Hence the is/ought gap. Not necessarily. A human being making a rational argument is still a human being. Therefore, it may be taken as axiomatic that actions that are contrary to human well-being should not be undertaken. As axioms stand as first principles which do not need to be supported, there is no logical deficiency in casting the argument this way. Ian is right in pointing out that the inference from (1) to (2) is invalid: it simply does not follow that we should not clone T. rex because cloning T. rex is not conducive to human well-being. In claiming as axiomatic that actions contrary to human-well being should not be performed, what you are in effect doing is inserting the missing & necessary premise. So, e.g., what you have done is add (1b). (1a) Cloning a T. rex is not conducive to human well-being. (1b) Any action not conducive to human well-being should not be performed. I should add that the "human well-being" clause is not at all trivial. First, what, exactly, does "well-being" mean? If it is to be understood in standard utilitarian terms, it is of course not trivial. If it is rather to be understood in terms of virtue theories, deontologies, or some form of egoism, it is of course not trivial. If it is to be understood in some other terms, I would like to know what those terms are. (1) Cloning a T. rex is a bad idea. And in this context, my premise equates to, "A bad idea should not be undertaken" - which I hope you would agree is a tautology. I'm willing to concede the argument, though, on the basis that it exists upon the thinnest of margins along the is/ought divide. Looking at it from the perspective of a rational purist, I can see the apparent discontinuity that even that equality does not bridge - but only because by so doing I must instead accept a different axiom: that rationality, not human well-being, is the ascendant virtue. I could care less about this or that axiom for this or that moral philosophical stance. Ian's point is simple and it is this: The above argument is invalid as a matter of logic. That aside, re: "A bad idea should not be undertaken" - which I hope you would agree is a tautology." It's not a tautology at all. One ought only not to undertake bad ideas if and only if one does not wish to undertake bad ideas. If one could care less whether one undertakes a bad idea, one may undertake any idea one likes. As I said, I'm willing to concede the argument. For myself, I maintain that a bad idea is one that should not be undertaken by definition. You can define "bad decision" anyway you would like, but know that if you define "bad decision" as "a decision that ought not to be performed", you have not resolved your problem. (1) Cloning T. rex is a bad decision. (2) Thus, we should not clone T. rex. (1) Cloning T. rex is a decision that we should not perform. (2) Thus, we should not decide to clone T. rex. As is evident, the conclusion is contained explicitly in the premises, and thus the inference from (1) to (2) is circular. Addendum: Let this be a lesson to all those who think the 'is / ought' problem is so easily dismissed. You both make my point and miss it entirely. Impressive. Any identity can be framed as a vacuous & circular argument. This merely points to the fact that if the identity is accepted, it does not require an argument. Hence, there is no problem requiring a resolution, except perhaps the problem of creating a problem where none exists. I did not miss your point. The fact that your axiomatization transforms your view into an exercise in question begging should bother you; but apparently it does not. ANYONE can run the 'since-it's-all'very-definitional-my-view-avoids-the-is/ought-problem' game, and many have tried it before, but it fails, because, again, it is circular, which is to say: no one will accept the argument except she who runs it. But my contention goes further in that you should be embarrassed for running such an argument: it's impotent & thus pointless. You say you have not missed my point, but thus far you have not demonstrated that you have understood it. It's really quite simple. It's entirely valid to assert that a "bad" proposed course of action and a proposed course of action that should not be undertaken are the same thing. You are also free to reject that assertion, in which case we disagree. But that alone doesn't make one of us right and the other wrong; we simply don't accept the same premise. I have even gone so far as to acknowledge that from your viewpoint, mine does appear invalid. I was and remain willing to concede the argument as irresolvable on the basis that our underlying principles are simply inconsistent with each other, without needing to establish one view or the other as superior. However, it appears that you are committed to a "We disagree, therefore somebody must be wrong, and it ain't me," point of view. I note that such an attitude is wholly consistent with rationalism, as analogous to scientism or religionism or any other form of fundamentalism. Indeed, one of the hallmarks of such worldviews, perhaps the quintessential one, is an intolerance of other worldviews. Now, note that positing the identity, "A bad idea is one that should not be undertaken" accomplishes the formulation of an "ought" from an "is" both without violating rationality and without unduly constraining the possible breadth and range of the set of possible "oughts". Indeed, arguably the only thing this formulation rules out is a logical basis for the "ought" - which is certainly consistent with your worldview as expressed thus far, and which, as I said earlier, I will go along with. This is essentially the extent of my contribution to the argument. Aside from this, for the purpose of this conversation, we have accepted David's paraphrasing of Harris' proposition that "bad idea" = "not conducive to human well-being" (which I modified slightly to eliminate the neutral cases by recasting as "contrary to human well-being"). Thus, if we disagree, it is perhaps upon the grounds that you hold it is inappropriate to posit anything that is not logically derived (you hate axioms), and I hold that that view is not only impotent to comment in any meaningful way upon the world of real events, it is even insufficient for dealing with ideas on a purely abstract basis. At some point, one must accept premises without logically deriving them, or there is no coherent argument to be made at all. Conversely, if one is making a coherent argument, then one has accepted premises on a non-logical basis. Moreover, you have flagrantly violated your own argument by positing that I "should" be embarrassed. Thank you for your response. I will leave the last substantive say with you. Logic and experience tell me what "is" is a process rather than a single event, and processes can be derailed but "oughts" that are counter to their logical momentum. Those oughts may be extensions from the processes of other is's, and so it will all get sorted out in the wash. I would tend to look at inevitabilities from existing logical process running counter to each other and having to sort themsleves out. Leonard, which moral issues are you thinking of? Primarily moral responsibility and the preconditions for it? Retribution vs deterrence vs rehabilitation as the purpose of punishment? Your metaphysical commitment to determinism is not supported by our present scientific understanding. Quantum mechanics holds that nature is fundamentally indeterminate. IOW, if we could rewind the tape, the unfolding of the universe would have most-likely played out very differently. Assuming determinism holds true, then whatever is is and could not have been otherwise. >Quantum mechanics holds that nature is fundamentally indeterminate. Small correction: some major interpretations of QM hold that nature is fundamentally indeterminate. I was thinking in similar terms, but didn't want to comment, considering that I'm at a loss when told to "shut up, and compute." Now I'll hazard to say that "rewind the tape" is not well defined. I don't see how you can invoke quantum theory without interpreting it. If the psychological arrow of time does not appear in the physics, then there's no clear distinction between "unwinding" and "rewinding." Under the many-worlds interpretation, each timeline is deterministic. I doubt that many people who feel comfortable with determinism know the ramifications of it. Times are exchangeable in many statements about timelines. Memory of the future, along with prediction and control of the past, are formally indistinguishable from the analogs we find intuitive. This is not to say that retrodiction is possible, but that Laplace was wrong about prediction of a clockwork Universe. Furthermore, the notion that some "part" of a deterministic timeline (e.g., a physicist) can bootstrap itself into knowledge of constraints on the timeline (e.g., physics) is intrinsically paradoxical. See D.H. Wolpert (2002), "Computational Capabilities of Physical Systems," Phys Rev E (available online), noting that the author has laid quite a bit of epistemology between the lines. The concept of multiple histories is closely related to the many-worlds interpretation of quantum mechanics. In the same way that the many-worlds interpretation regards possible futures as having a real existence of their own, the theory of multiple histories reverses this in time to regard the many possible past histories of a given event as having real existence. Retrocausality is a real possibility. Classical mechanics posits neutron decay in free space to be unpredictable and purely statistical, and that is perhaps the most fundamental particle, comprising a proton, electron, neutrino, and photons available for exchange on decay. Q. M. has done nothing to shake that assumption, thus there is not strict determinism. Re: If we could rewind the tape, things would have most likely played out differently. Why should we think such a thing? Upon what basis do you make this probability judgement? Because indeterminism is part and parcel of the standard interpretation of QM. According to this interpretation, the probabilistic nature of quantum mechanics is not a temporary feature which will eventually be replaced by a deterministic theory, but instead must be considered a final renunciation of the classical idea of "causality." First, piggy backing on Ian's comment above, certain interpretations of QM are indeterministic-- the species of Copenhagen views, notably. Second, whilst I myself am an agnostic about fundamental indeterminacy (though, due to my anti-realist sympathies, I find various Copenhagen views more congenial), even if at base nature is indeterminate, this would not offer relief for the libertarian: If one could at any moment will to jump naked into a retention pond due to some quantum event in the prefrontal cortex, it is beyond me how this constitutes any freedom of the will. No, the libertarian needs determinacy; she needs the individual's will to be the determining factor in decision making processes. Now what, exactly, is this will such that it could or could not be the contra-causally free determiner of decisions & actions is beyond me. Third, and last, it is not at ALL clear to me quantum mechanics has anything useful to say about brain functions. Three things to say here. Sorry. Eamon: Your neutrality on a definition for 'will' is refreshing to know. If we allow ourselves to buck traditional (Copenhagen) QM by going with the hermeneutic flow, if we allow ourselves to detach a bit from 'human-centric' thinking which would applies the question of free will to a single person, if we allow ourselves to attach competing temporal vectors to all processes, the free will question is severely degraded and diluted. Previously, I wrote: "If we could rewind the tape, things would have most likely played out differently. To which you responded by asking the following questions: "Why should we think such a thing? Upon what basis do you make this probability judgement?" To which I responded by stating: "
Because indeterminism is part and parcel of the standard interpretation of QM." Alastair, consider humans to be like particles, with statistical behavior, although clearly more broad. The idea would be that we can logically analyze what particles might do over time, usually with reasonable certainly as they are bound by their properties. Humans likewise, in their own strategies put to public justification, are subject to logical analysis. Our properties are our status quo of attitudes and knowledge which may logically extend unless impacted by others, for social adjustment. Our state of "is" is a process leading somewhere logically (with reasonable forseeability) but they may not be "oughts' if we are happily proceeding. They become oughts when countered by another "is" in an alternative direction, no less than particle collisions, except these are collisions of reasoning between perspectives, to progress further in life. They adjust as necessary to include new properties, and happily proceed as an adjusted "is". If something I learned from Kant and his "critique to the pure reason" was not to put much attention in this metaphysical topics. I also learned to be practical: I feel like if I had free will, I act like if I had free will, then i will say I have free will; everything else is irrelevant. By the way, you should watch Futurama's first movie. You'll love it!... Or so do I believe. Use your freedom well, Sherlock Holmes.